Voted best of Antigo Area for the 5th year in a row! Call us at 715-623-2123 today. Draeger Chiropractic is now Joint & Spine. At Joint & Spine we have a reputation for getting results. We have had great successes treating back pain, neck pain, shoulder pain, knee pain, arthritis, sciatica, herniated discs, peripheral neuropathy, chronic pain and other muscular-skeletal issues. In fact, many of our patients tell us that they've never had results from other chiropractors like they’ve had here. First, we will take the time to get to know you and your condition. It’s essential to what we do, because your body works as a whole system. So, in order to improve your chances of a positive outcome, we not only treat the area that’s causing you discomfort, we will address the supporting muscles, bones, ligaments, nerves and joints. Our doctors treat a variety of patients. Dr. Lindsy Jaworski was mentored by Dr. Curt Draeger himself. She has learned exclusive treatments for chronic pain, sports injuries, sciatica, rotator cuff injuries, meniscus knee injuries, post surgical pain, and neuropathy. She also takes special interest in pediatric and maternity care using special techniques suited for infants and mothers. Our founder, Dr. Curt Draeger, DC has been instrumental in the development of our FDA-cleared, High Intensity Lasers, working with the manufacturer to develop the most powerful and effective lasers on the market today. 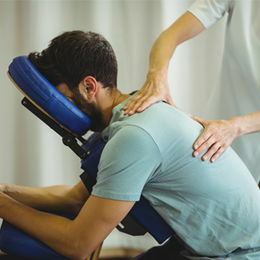 He is certified to provide laser training and has developed many other tools and techniques that are simply not available at other chiropractic offices. Dr. Jaworski has worked hand in hand training with Dr. Draeger on the newest treatment protocols. We encourage you to spend some time exploring our website and getting to know us a little better. If you would like to receive free articles about health and wellness news, please subscribe to our newsletter - even if you are not a patient. You’ll find our well-trained staff to be honest and friendly, and our clinic to be warm and inviting. We accept many insurance plans and offer a variety of payment options. Initial consultations are always done at no charge to you, and, if we don’t think we can help you, we’ll tell you. 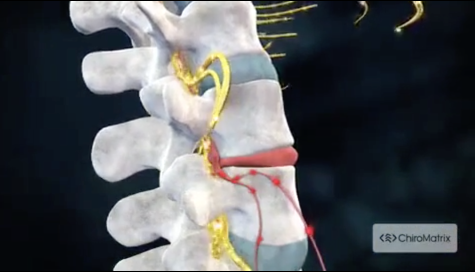 We invite you to watch this brief video to better understand chiropractic care. If so, Medical Grade Laser Treatment could be for you. Contact us to find out more. Sign-up using the form or call us at 715-623-2123. "I have never been more impressed with health care !! Dr. Lindsy's knowledge, care and tenacity in finding the solution to the problem is outstanding ! Love her and the hope she has given me to be able to return to the things I love to do !!!" "The care you receive here is top-notch and always noticed. Thank you to the staff and Dr. Lindsy especially for the amazing services you provide. I wouldn't be at the top of my game in archery if it wasn't for you all. :)"